Ludwig the Plush Schnauzer is very soft and huggable. Ludwig is a Flopsie from Aurora World. Flopsies are bean-filled and double-bagged for safety and durability. Flopsies have lock-washer eyes and noses for safety. 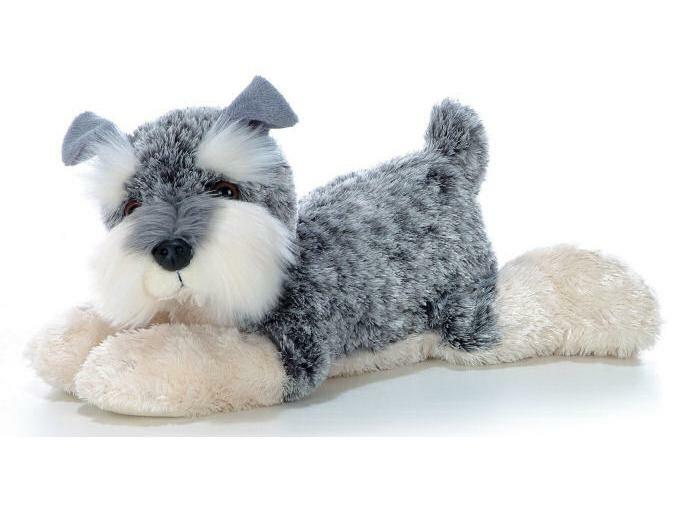 Ludwig is a gray Schnauzer stuffed dog that measures 12 Inches and is washable.